The Bureau of Near Eastern Affairs (NEA) is an agency within the Department of State that deals with U.S. foreign policy and U.S. diplomatic relations with Algeria, Bahrain, Egypt, Iran, Iraq, Israel, Jordan, Kuwait, Lebanon, Libya, Morocco, Oman, Qatar, Saudi Arabia, Syria, Tunisia, United Arab Emirates, and Yemen. Regional policy issues that NEA handles include the war in Iraq, Middle East peace, terrorism, weapons of mass destruction, and political and economic reform. The Bureau of Near Eastern Affairs is a key diplomatic office within the Department of State. According to the Bureau, it promotes U.S political and economic interests throughout the region. Instability in the Middle East directly affects U.S political and economic interests, therefore, the promotion of peace and democracy is a key initiative for the NEA. This initiative is seen throughout NEA’s objectives including: helping to rebuild and promote stability in Iraq, helping to resolve the Palestinian and Israeli conflict, counterterrorism and supporting efforts for political and economic reform in the region. NEA works with the Global Coalition Against Terrorism, the US Agency for International Development, and the Middle East Partnership Initiative. Through NEA’s Middle East Partnership Initiative (MEPI), established by U.S secretary Colin Powell in 2002, NEA directly funds non-governmental organizations, businesses, and universities in the Middle East with the goal of alleviating conflict in the region. MEPI provided support to more than 2,000 domestic election monitors for Egypt's first multi-candidate election. However, the election was a failure from the point of view of democracy. The Washington Post reported that the Egyptian ruling National Democratic Party ordered government security agents and gangs of thugs to blockade dozens of polling sites where they knew opposition candidates were strong. There were several cases of these “gangs” opening fire on citizens who tried to vote. Inside the election stations, government appointees blatantly stuffed ballot boxes with the judicial monitors, funded by the U.S, present supporting the only live satellite broadcasts of Arab parliamentary sessions. Other top political objectives for the NEA are, according to President Bush, “Operation Iraqi Freedom” and the “Global War on Terror.” As part of the initiative to unify and stabilize Iraq, NEA provides humanitarian assistance in Iraq to help meet the needs of refugees and internally displaced Iraqis (IDPs). U.S. Agency for International Development (USAID) programs support hundreds of thousands of IDPs and other at-risk beneficiaries inside Iraq through activities such as provision of emergency relief supplies, food, water systems, infrastructure rehabilitation for host communities, small-scale livelihood activities, and support for mobile medical teams and emergency health. The Bureaus also has focused efforts on the Iraqi-Palestinian conflict. The Arab-Israeli conflict has been threatening the stability in the Middle East since the late 1940s and 1950s, and has been at the center of NEA’s initiatives since its establishment in 1949. NEA’s efforts are concentrated on rebuilding productive dialogue with the hope that it will lead to negotiations between Israelis and Palestinians that create benefits for both sides of the conflict. 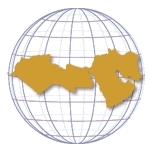 The Bureau of Near Eastern Affairs conducts diplomatic affairs with eighteen foreign governments: Algeria, Bahrain, Egypt, Iran, Iraq, Israel, Jordan, Kuwait, Lebanon, Libya, Morocco, Oman, Qatar, Saudi Arabia, Syria, Tunisia, United Arab Emirates, and Yemen. U.S foreign policy in the Middle East has provoked Arab and Islamic opinion and has jeopardized the security of the U.S and its allies. Many in the region believe that U.S. policy has been so one-sidedly pro-Israel that it has hampered efforts towards peace. Israel has been the largest recipient of direct U.S. economic and military assistance since 1971. The United States gives Israel about $3 billion in direct assistance each year, 1/5 of the foreign aid budget. According to John J. Mearsheimer and Stephen Walt writing in the London Review of Books, Israel is the only recipient that does not have to account for how the aid is spent. Writing in The Nation, Philip Weiss states that because a large majority of the Jewish community in the United States is liberal, they do not agree with AIPAC’s ”Israel right-or-wrong” position. Sara Roy, a scholar at Harvard’s Center for Middle Eastern Studies, wrote in her new book, The War on Lebanon, as quoted in The Nation, “The virtually unqualified support of organized American Jewry for Israel’s brutal actions…is not new but no longer tolerable to me.” Roy’s views are increasingly common among the Jewish community in the United States. A group of liberal Jewish-Americans has organized a lobbying organization called J-Street in response to American policy towards Israel and the Middle East. The Commander of the U.S forces in the Middle East, Central Asia and East Africa, Admiral William Fallon, stepped down after just a year in command, following allegations that he had disagreed with the Bush Administration on some key policies. Fallon has opposed the surge of U.S forces into Iraq and has found it difficult to do his job of easing tension in the Middle East with the war rhetoric that has been used by White House staff. Alberto Fernandez is an Arabic speaker who is director of public diplomacy in the State Department’s Bureau of Near Eastern Affairs. Fernandez told Al-Jazeera that the world was “witnessing failure in Iraq.” He stated further that, “…there is great room for strong criticism, because without doubt, there was arrogance and stupidity by the United States in Iraq.” Fernandez later retracted his statements. President Barack Obama has nominated a career Foreign Service Officer who has spent the last two years serving as U.S. ambassador to Egypt to be the next lead diplomat on Middle East issues. During recent protests that ousted Egyptian president Mohamed Morsi from power on July 3, 2013, many Egyptians accused Anne W. Patterson of being too close to Morsi and the Muslim Brotherhood, and wild rumors about an impending impeachment of President Obama further soured her last months on the Nile. Born on October 4, 1949, in Fort Smith, Arkansas, Patterson earned a B.A. from Wellesley College in 1971 and attended graduate school at the University of North Carolina for a year. Patterson joined the U.S. Foreign Service in 1973 as an economic officer, and was promoted to career ambassador, the highest rank in the career Foreign Service, after 25 years’ service in 2008. Early on, she held a variety of economic and political assignments, including in the Bureau of Inter-American Affairs, the Bureau of Intelligence and Research, and the Bureau of Economic and Business Affairs. Patterson served as economic counselor in Saudi Arabia from 1984 to 1988 and as political counselor to the U.S. Mission to the United Nations in Geneva, Switzerland, from 1988 to 1991. Back in Washington, she served as office director for Andean affairs from 1991 to 1993 and principal deputy assistant secretary and deputy assistant secretary of Inter-American affairs from 1993 to 1996. Patterson spent six years in Latin America, as ambassador to El Salvador from 1997 to 2000 and ambassador to Colombia from 2000 to 2003. She returned stateside for a series of assignments: State Department deputy inspector general from 2003 to 2004, deputy permanent representative and acting permanent representative to the United Nations from 2004 to 2005, and assistant secretary of state for International Narcotics and Law Enforcement Affairs from 2005 to 2007. Two months later, Bhutto was assassinated. Patterson is married to David R. Patterson, a retired Foreign Service officer. The couple has two sons, Edward and Andrew. In taking over the State Department’s Bureau of Near Eastern Affairs, Jeffrey D. Feltman is no stranger to the issues and key players of the region, having spent much of his Foreign Service career in diplomatic posts in Israel and Lebanon. Feltman is also a polarizing figure, as far as Syria and Hezbollah are concerned, after having dealt with him as U.S. ambassador to Lebanon during the second half of the Bush administration. Feltman was sworn in as assistant secretary on August 18, 2009. Born in Greenville, Ohio, Feltman, 50, attended college at Ball State University in Indiana, where he received his undergraduate degree in history and fine arts in 1981. He attended graduate school at Tufts University and earned his master’s degree in law and diplomacy from the Fletcher School of Law in 1983. He joined the Foreign Service in 1986, serving his first tour as consular officer in Port-au-Prince, Haiti. In 1998, he shifted regions and moved to the U.S. Embassy in Hungary, where he worked as an economic officer until1991. The move represented the beginning of a diplomatic career that would focus on Eastern Europe and the Middle East. From 1991 to 1993, Feltman served as a special assistant to Deputy Secretary of State Lawrence Eagleburger, concentrating on the coordination of U.S. assistance to Eastern and Central Europe. The following year he studied Arabic at the University of Jordan in Amman, adding to his French and Hungarian language skills. In 1995, Feltman began a three-year tour at the U.S. Embassy in Tel Aviv, covering economic issues in the Gaza Strip. He became well known locally for personally testing “the freedom of movement of goods through army checkpoints in and out of Gaza by physically standing at one and counting the number of trucks that passed through on a given day,” according to the Jerusalem Post, “and for having gotten the inside track on the fishing situation off the Gaza coast by striking up a relationship with the local known as the “King of Fish” at Gaza’s market. 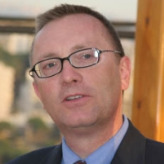 From 1998-2000, Feltman served as chief of the political and economic section at the U.S. Embassy in Tunisia. Then it was back to Embassy Tel Aviv where he was Ambassador Martin Indyk’s special assistant on peace process issues (2000-2001). In August 2001, he moved to the U.S. Consulate General in Jerusalem, where he served first as deputy and then as acting principal officer until December 2003. Feltman volunteered to serve at the Coalition Provisional Authority office in Irbil, Iraq, from January to April 2004. The move endeared him to the Bush administration, and earned him his first ambassadorship—to Lebanon. He was sworn in on July 22, 2004, as the United States’ top diplomat in Beirut, and stayed until January 2008. Feltman became a controversial figure in Lebanese politics during his tenure as ambassador. In fact, he was accused of committing “flagrant interference” in Lebanon’s politics by pro-Syrian groups before Feltman had even submitted his credentials to the Beirut government. His ambassadorship covered a period of considerable turmoil in the country as a result of power plays within Lebanon’s government between pro-Syrian elements and those seeking closer ties to the West. In 2005 Lebanon’s prime minister, Rafik Hariri, was assassinated, setting off a series of large protests against Syria, which was accused of being behind the plot. Then in the summer of 2006, Israel launched an invasion into Lebanon in a failed effort to cripple Hezbollah. Opponents of Hariri’s successor, Prime Minister Fouad Siniora, came to refer to the Beirut government as “Feltman’s government,” because of the United States’ influence on Lebanese affairs. Before vacating his post as US ambassador, Feltman gave a speech that some American critics labeled as being too partisan, with respect to Lebanon’s political situation, and filled with “artless zeal.” He was on his way out when a diplomatic convoy carrying him was hit by a car bomb on January 15, 2008. Several people were killed, although Feltman escaped unscathed. U.S. officials privately suspected Syria of being behind the attack. Upon arriving back in the United States, Feltman was bumped up to Principal Deputy Assistant Secretary of State in the Office of Near Eastern Affairs during George W. Bush’s last year in office. With the election of President Barack Obama, Feltman was made Acting Assistant Secretary of State for the Near East Bureau in December, before he was nominated to permanently take over the position. His first big assignment was to visit Damascus and end the diplomatic embargo imposed by the Bush administration following the Hariri assassination in 2005.